Will become available to order on 15 April. 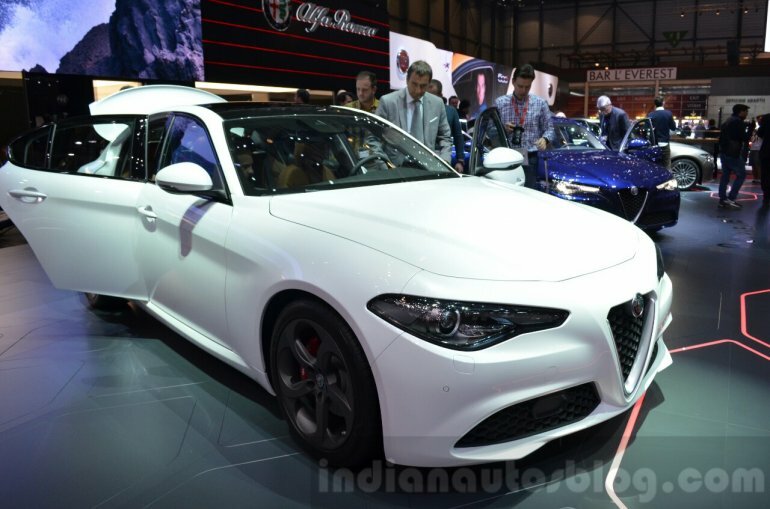 Over half a year after the 2016 Alfa Romeo Giulia Quadrifoglio's unveiling, Alfa Romeo has introduced the standard 2016 Alfa Romeo Giulia at the 2016 Geneva Motor Show. The toned-down Alfa Romeo Giulia looks quite distinctive from its core rivals, being the only one carrying the unmistakable Italian design flair. The standard 2016 Alfa Romeo Giulia will be available in two trim levels (Giulia and Super) and in five technical configurations. In the petrol model, there's a new 2.0-litre MultiAir turbocharged petrol engine that produces 200 hp and 330 Nm of torque, linked to a new 8-speed automatic transmission. The second engine option is a 2.2-litre MultiJet II diesel unit which can be had in either of two outputs: 150 hp and 380 Nm of torque or 180 hp and 450 Nm of torque. 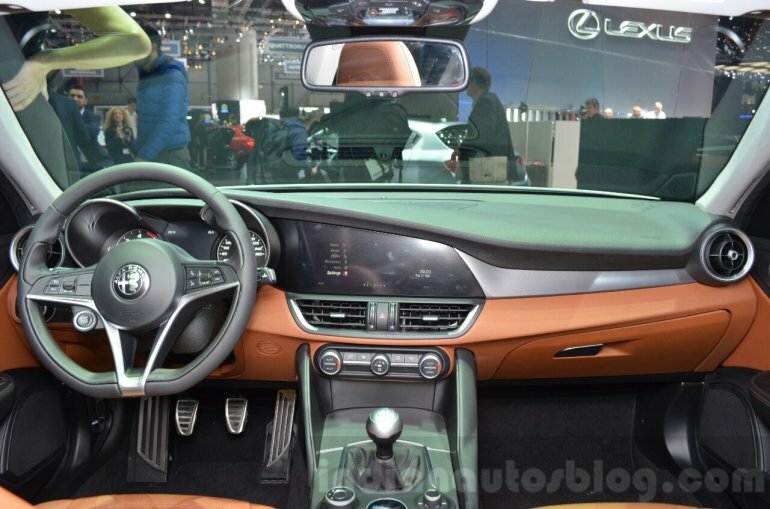 Transmission choices include 6-speed manual and 8-speed automatic. Noteworthy features of the 2016 Alfa Romeo Giulia include Xenon headlights, 17-inch alloy wheels, 7-inch colour display for the instrument cluster, 8.8-inch Connect Nav 3D infotainment system with Rotary Pad, Sound Theatre 900-watt and 14-speaker sound system by Harman Kardon. Safety and assistance technologies offered include Adaptive Cruise Control (ACC), pedestrian detection, Integrated Brake System (IBS) and Forward Collision Warning (FCW) with Autonomous Emergency Brake (AEB). 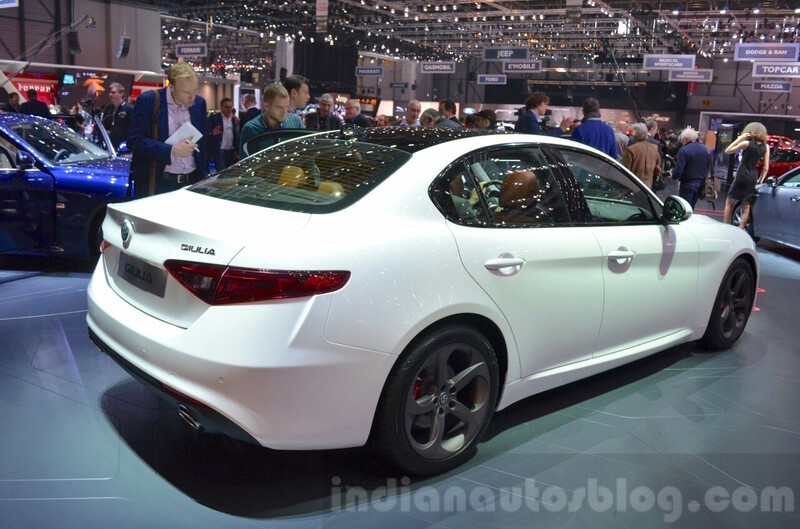 The 2016 Alfa Romeo Giulia will become available to order throughout EMEA on 15 April. UK sales of the BMW 3 Series rival will commence in September.